Kaspersky Lab has discovered some harmful Android applications, which have been acting as security software. 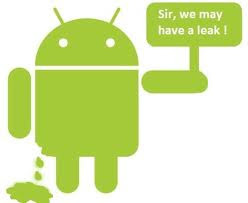 Kaspersky has reported that this malware detected in Android applications is connected to the notorious Zues Trojan. They say that the tool acts like Android spyware and is commonly used to hack banking credentials. These malicious apps were noticed earlier this month for the first time. Kaspersky warns that new versions of the app are also coming in the market. Kaspersky researcher Denis Maslennikov blogs that his company’s search engine has detected 3 APK files of 207 kb on June 4th. He explains that these malicious applications work as cell phone spy. Their purpose is to hack incoming text messages from infected cell phones, which are uploaded to a remote server with an encrypted URL. Users have to be careful while browsing and downloading data and information on to their systems and machines. The researcher elaborates that three more similar files have been found with the same activities on June 8, 13 and 14, which brings the number of files to six. These files pretend to function as “Android Security Suite Premium”, but in reality they are made for theft of incoming text messages. The purpose of this theft is to acquire the user’s mobile transaction authentication number (mTAN). This number is extremely important to banks for authenticating online bank facilities. On being infected, the text messages are automatically uploaded to a remote server. Sophos Senior Technology Consultant Graham Cluley has said that currently the most common Android malware is Andr/PJApps-C. He explained the malware has been decoded with the help of tools available to all users.BaseBridge is also another popular malware that is a grave threat to the security of Android phones. This malware increases its exploitations and installs other harmful applications which damage the user’s cell phone. Six men have been arrested in Japan for spreading a malicious Android app on June 13. Japanese local newspaper, The Daily Yomiuri has reported that the app distributed malware through adult content, which pretended to be a video player. The information of the cell phone user is sent to the remote server, as soon as the malware is opened. This malware was detected as Android.Oneclickfraud by Symantec Security Response. Malware and spyware have been the bane of existance for cell phone users for a while now. Each day we’re faced with new risks and new solutions. Threat analyst Joji Hamada writes in his blog that compared to computer scamming, there are very few sites that aim to scam smartphones. Hamada elaborated that at least two such sites have been discovered, which were run by the men arrested, hoping that their sister sites will also be blocked. However, to date the sites have shown no signs of slowing down.